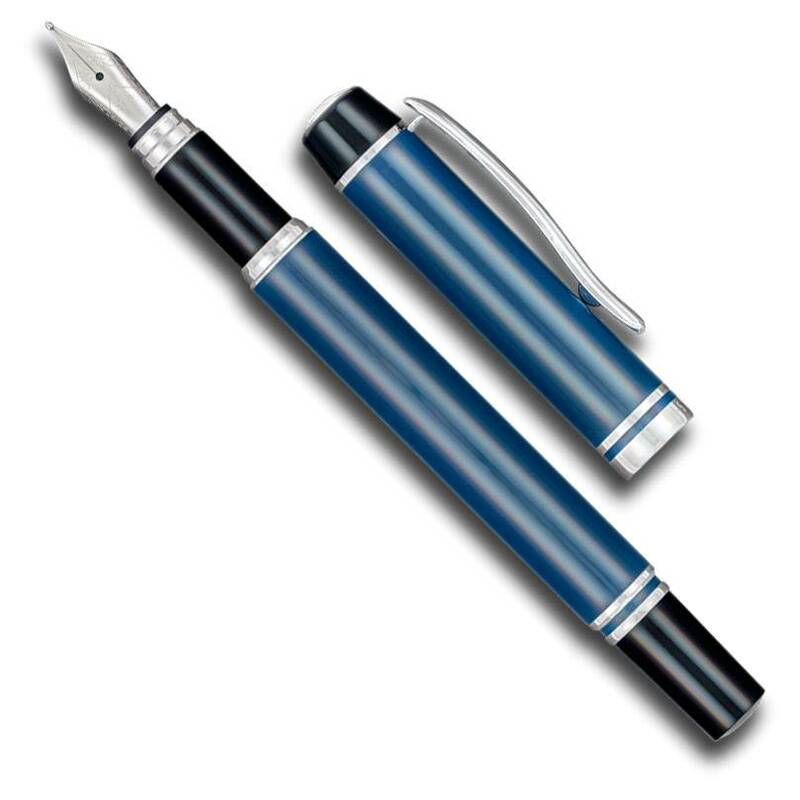 Whether you opt for the traditional black and silver or black and gold 5280 Ambassador fountain pen, or the new blue and silver or burgundy and rose gold, you will be holding a timeless classic design. The steel nib lays down ink more smoothly than many more expensive pens. Each nib is coated to match the trim. A simple click secures the cap. Refill your Ambassador with the included ink converter and your bottled ink, or order ink cartridges available in two sizes and a wealth of colors. Engraving - The engraving on this pen will show as a gold color due to the brass barrel. Permanently perfect.